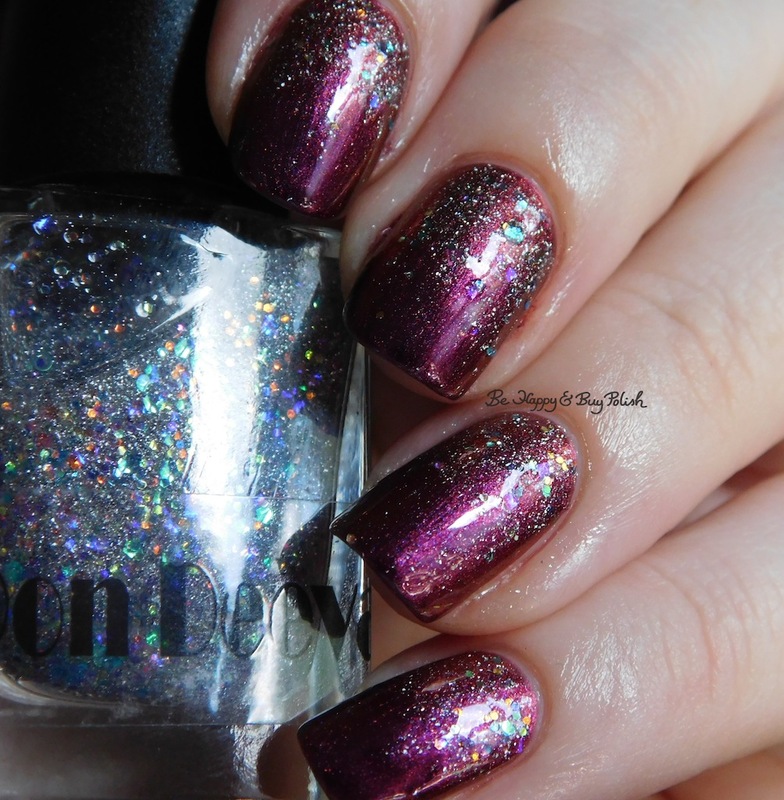 The glitters on Sylvia Bernstein slightly stick up so I needed 2 coats of top coat. 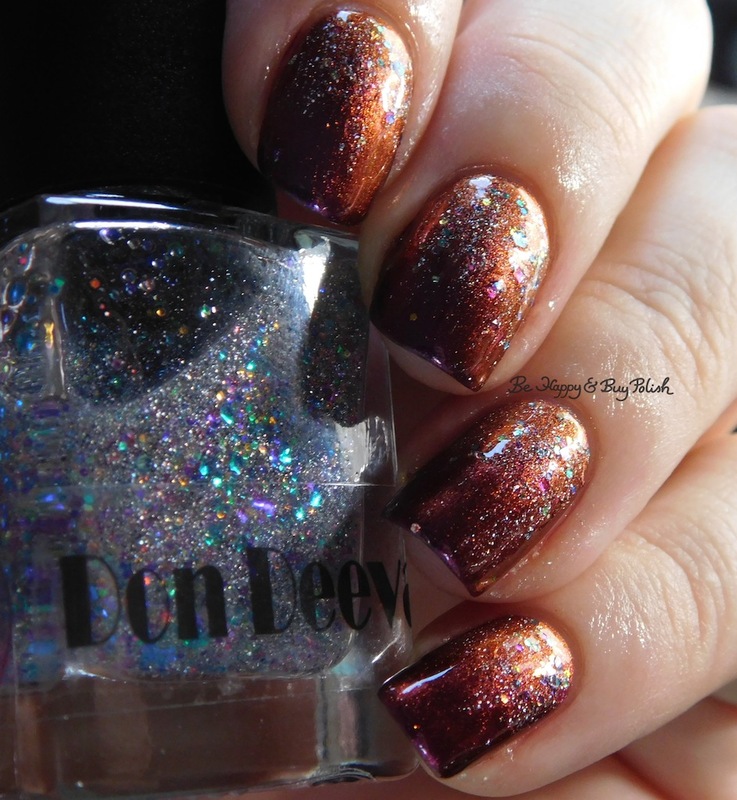 The fade on your glitter is perfect and this is a great color combo. This turned out really pretty. I love the shift in the base polish. Isn’t it nice? 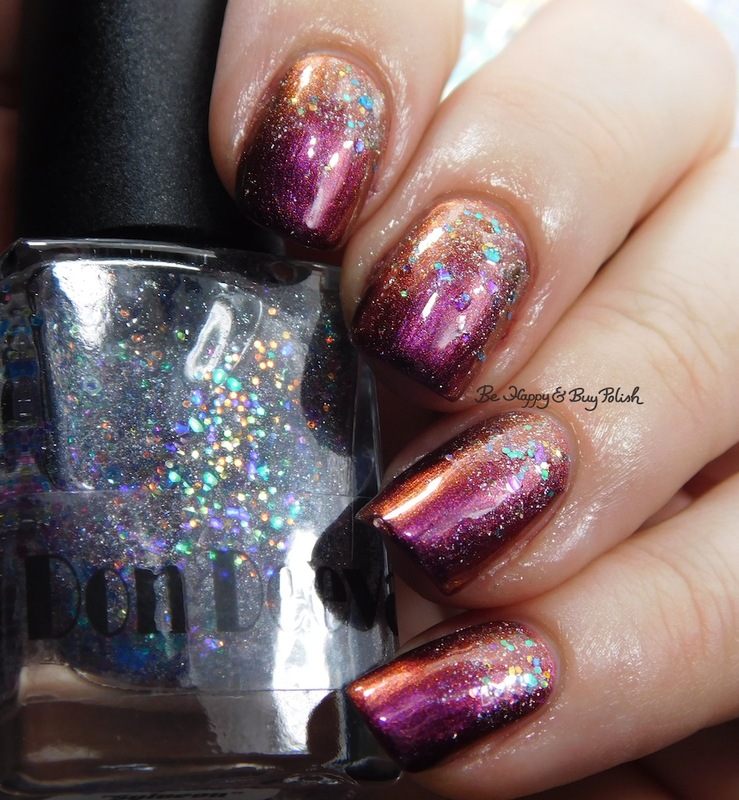 She did a holo version of the base polish but I liked this one best.